An immediate call for donors was issued after over 21,000 fewer blood and platelet donations than what hospitals needed were collected in September and October, according to a report. Columbia, SC (WLTX) - The American Red Cross is in a severe blood shortage as the holidays approach, and they are urgently asking for donations. 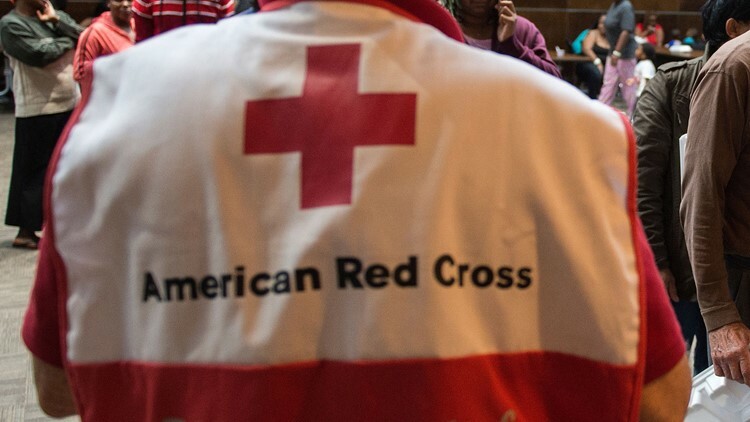 The Red Cross says fewer blood drives took place in September and October, and thousands of donations went uncollected as a result of hurricanes Michael and Florence. To help stop the storage this winter, an additional 4,300 blood drives are needed nationally, with 100 of those being in the Columbia area. “This time of year, as many give thanks for family, friends and good health, it’s important to remember that patients across the country cannot survive without your generosity,” said Cliff Numark, senior vice president of the Red Cross Biomedical Services. “From traumas to ongoing cancer treatments, the need for blood doesn’t stop for the holidays." To make an appointment to donate, visit RedCrossBlood.org or call 1-800-733-2767. 12/14/2018: 8:30 a.m. - 2 p.m., Barnwell High School, 474 Jackson St.
11/19/2018: 9 a.m. - 2 p.m., Williston Elko High School, 12233 East Main St.
11/19/2018: 9 a.m. - 2 p.m., SC Department of Vocational Rehabilitation, 1410 Boston Ave.
11/21/2018: 12 p.m. - 5 p.m., Mid Carolina Electric Cooperative, 254 Longs Pond Rd. 11/25/2018: 9 a.m. - 2 p.m., Corpus Christi Catholic Church, 2350 Augusta Hwy. 12/6/2018: 8:30 a.m. - 4:30 p.m., Lexington Medical Center, 2720 Sunset Blvd. 12/11/2018: 8 a.m. - 1 p.m., Gray Collegiate Academy, 3833 Leaphart Rd. 11/29/2018: 2 p.m. - 7 p.m., Grace Baptist Church, 219 West Calhoun St.